Would you like to learn more about Dante and his Comedy? From pixels to parchment, here are a few of my favorite online resources. . . . 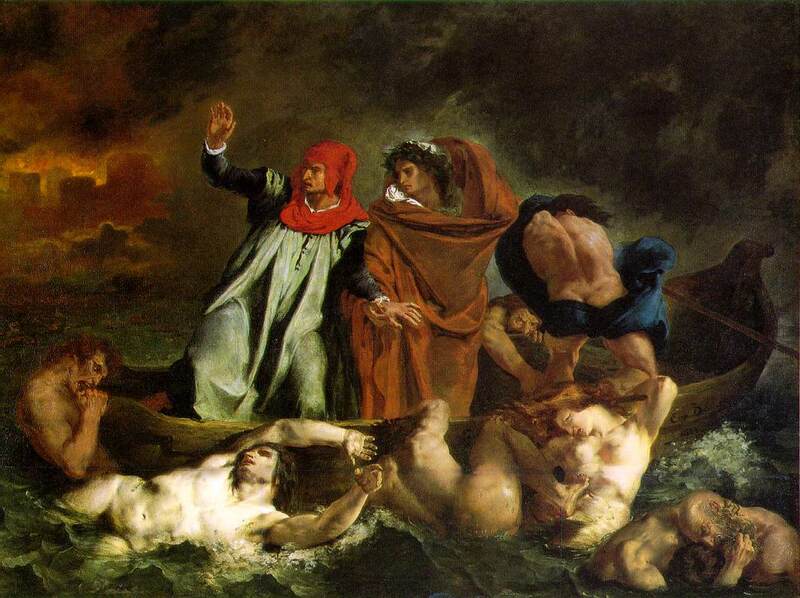 The William and Flora Hewitt Foundation initially funded this early online course, Dante in Translation, from Yale University. To my mind, there is no better guide through the Comedy, than my “maestro”, Giuseppe Mazzotta. Yale University Press has also published these lectures as a book entitled Reading Dante. 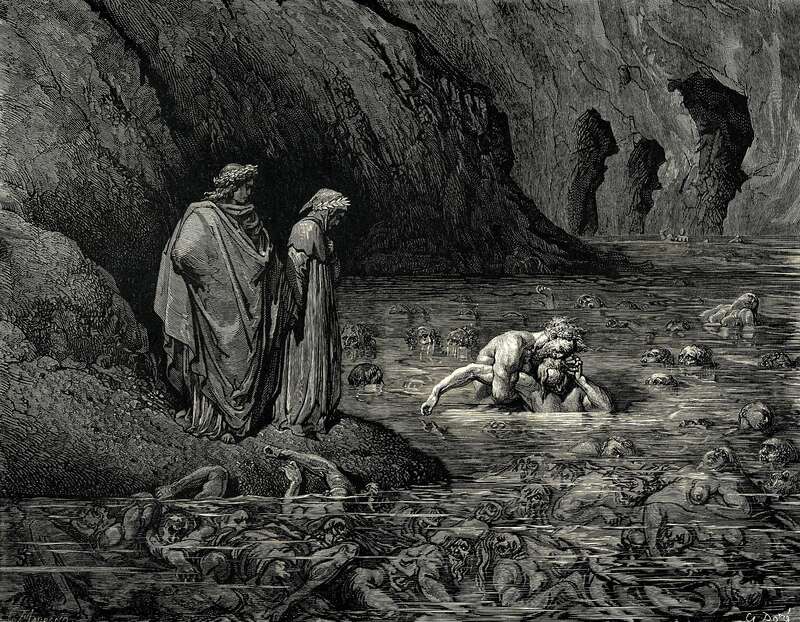 There are a number of online resources for readers of Dante, including the World of Dante from the University of Virginia and Dante Worlds from the University of Texas at Austin. Columbia University has recently updated their website, Digital Dante. 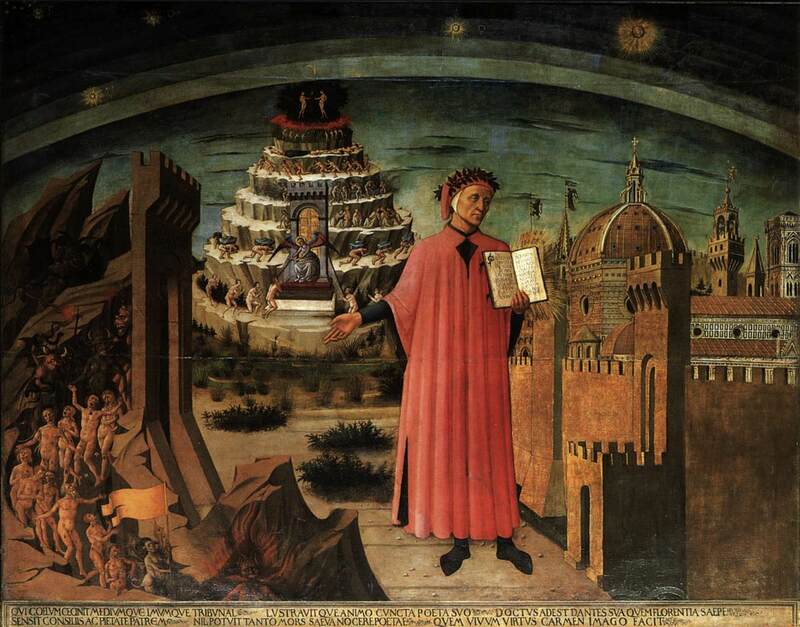 This site has an outstanding choral reading of Dante’s sestinas accompanied by a detailed explanation of the mechanics of the verses and some helpful visualizations of the rhyme scheme. Even those whose Italian language skills stop at the word ‘pizza’ will appreciate the melodious concatenated rhymes of the early vernacular! Dante Today is a curated repository at Bowdoin College for “citings” and “sightings” of Dante and his work in contemporary culture. From Jack Beal’s subway art in Times Square, to Don Draper’s beach reading, it is, not surprisingly, Dante’s Inferno that provides plenty of grist for the mill of contemporary popular culture. The Comedy‘s popularity as a source text for visual artists has endured for centuries. The Guardian’s art critic, Jonathan Jones, looks at some of the artists who have taken on the Comedy’s visual challenges, from Domenico di Michelino to Delacroix to Doré. What did Dante’s Comedy look like in the first few decades of its circulation? This manuscript from the Bodleian Library is in remarkably good condition given its age and is lavishly illustrated. Do you recognize some of the verses from Paradise I ? The first printed edition of the Comedy was published in 1472. By 1487, nine editions had been published, many drawing inspiration from manuscripts then in circulation. These editions are known as “incunabula,” a Latin term which means “things from the cradle” and designates the earliest editions of printed books. Here are few “incunabula” from the Rare Books Library at Columbia University which feature hand-colored woodcut illustrations for each of the cantos.